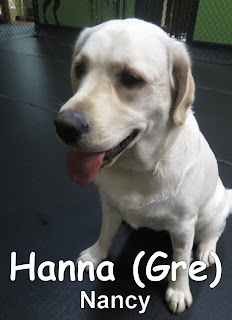 Hanna came into the Fort bright & early yesterday for her assessment. She is a fifteen-month-old, seventy-pound, Yellow Lab. Hanna started out in the large area, where she quickly made friends with the other dogs. She especially liked playing with Nellie the Old English Sheepdog. 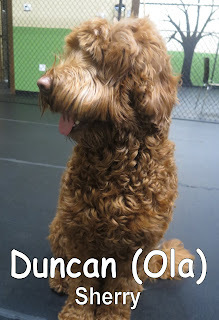 This morning we met Duncan. 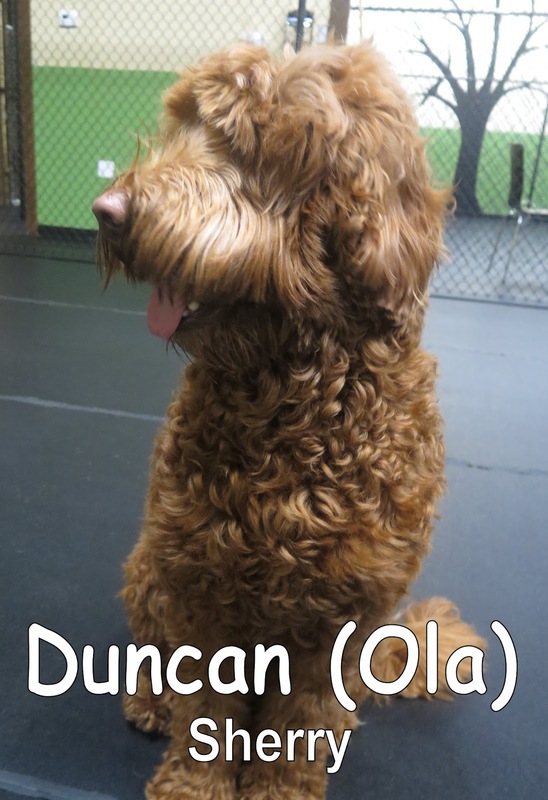 He is a two-year-old, fifty-five-pound, Labradoodle. He spent his first morning here mingling and playing with the other large dogs. Both Hanna and Duncan are welcome back anytime.